I am not here to ask to remove by block. I ask you to explain what make me fall into the question limit and what to do to reenable my account. Or where is wrote when it will we removed automatically or where is wrote that it is permanent. I cannot create new questions. I have only one open question, older ones are answered. EDIT: thanks for explaining me that deleting bad questions was a bad idea. In these cases, I must upgrade the question, at least try to do it, not delete. I add only an example of what causes me problem. For example, see the deleted question, if you can: "Apache slow serving a single page on a new VPS "
I asked help for diagnose. "OS? Log file entries? Anything? This question lacks about every necessary detail." I understand reason behind the comment, a lot less the downvotes. But If I ask help for diagnose, the problem is I have no idea about where and how search for infos. If you ask me 'logs' I ask myseld: "which logs !? ", "where are these logs", ... of course not 'what are logs', but I do not ask help in diagnostic if I am able to lookup info for that diagnostic. I added this info just to not overload comments of this question. I known that my reaction, delete a question, is not good. I want to leave my experience here to discourage the same behaviours in the future users. Reading more on this very meta, I read the sentence "this is not a forum". Right. The problem is that: if you need a forum you are in the wrong place.. You will loose your privilege (not is a right ) to ask here if your do not accept the house's rules. This is good. Please note that you're only banned from asking new questions, you are still allowed to post answers, and highly encouraged to do so. Please pay it forward. Please see What can I do when getting “We are no longer accepting questions/answers from this account”? Typically limits take deleted questions into account as well. By design the user interface hides deleted posts, but unfortunately they are even hidden from the user who posted them. AFAIK Only once you achieve >10k rep (or become moderator) a search of deleted:1 combined with your user ID will list the deleted questions and answers for your user. Not the answer you're looking for? 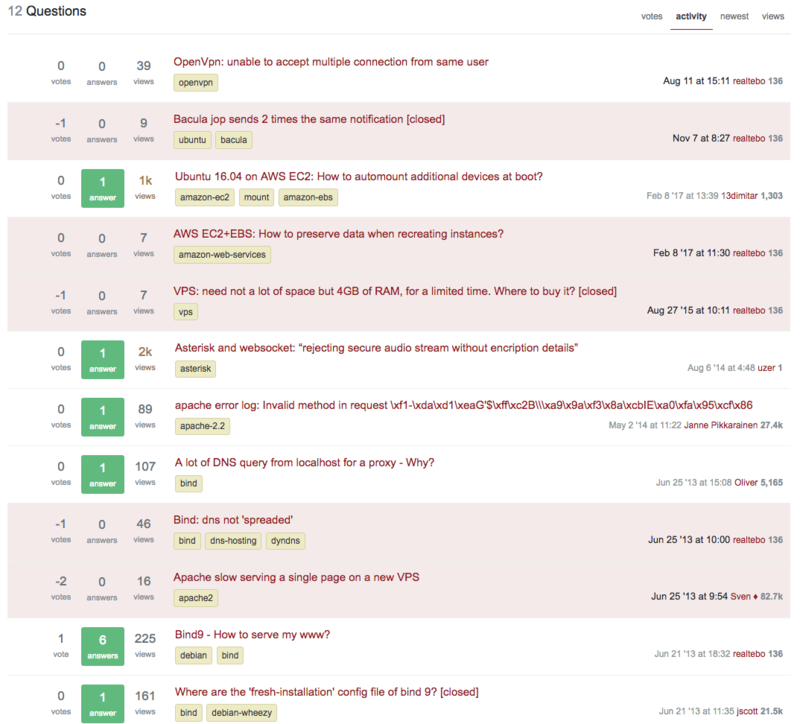 Browse other questions tagged support serverfault account .